and Happy Thursday to you ! 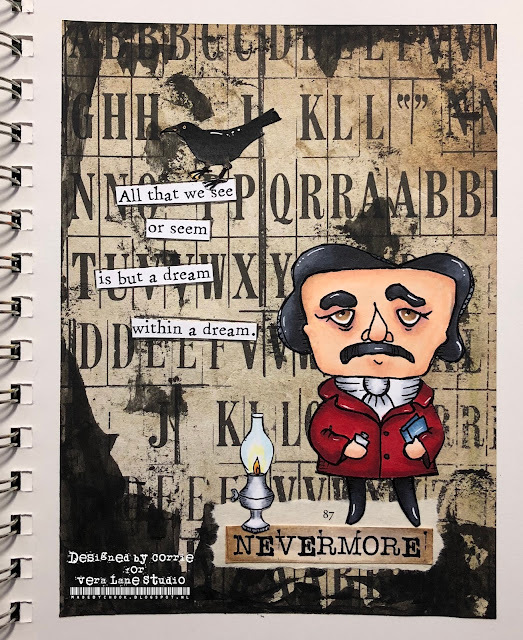 I added some black paint with a pallet knife and then coloured Mr. Poe and his lamp. I also cut out two of the sentiments and a crow. After I'd done all that I assembled everything on my page, shuffled it around until I was happy with the result. Mr. Poe is definitely dapper - and a standout in any crowd. What fun, and I love the quote.